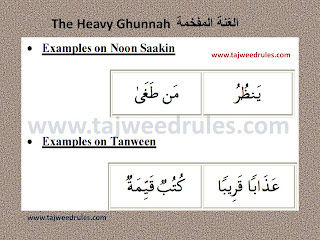 • Ikhfaa maens: "hiding"or "concealment"
It is the pronunciation Of Noon Saakina or Tanween In a way so that the sound is between Idghaam and Izhaar. Any letter other than the lettes of Izhaar, Iqlaab or Idghaam letters.Its letters are fifteen in number. 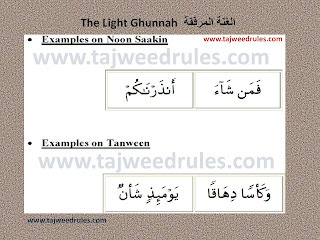 follows the Noon Saakina or Tanween, the Reader should hide the Noon Saakin or Tanween. 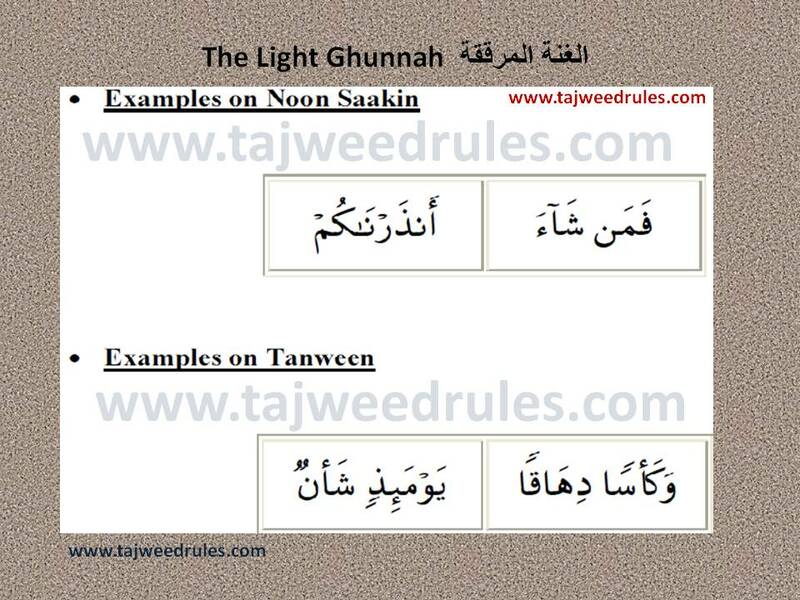 of Ghunnah should be light. 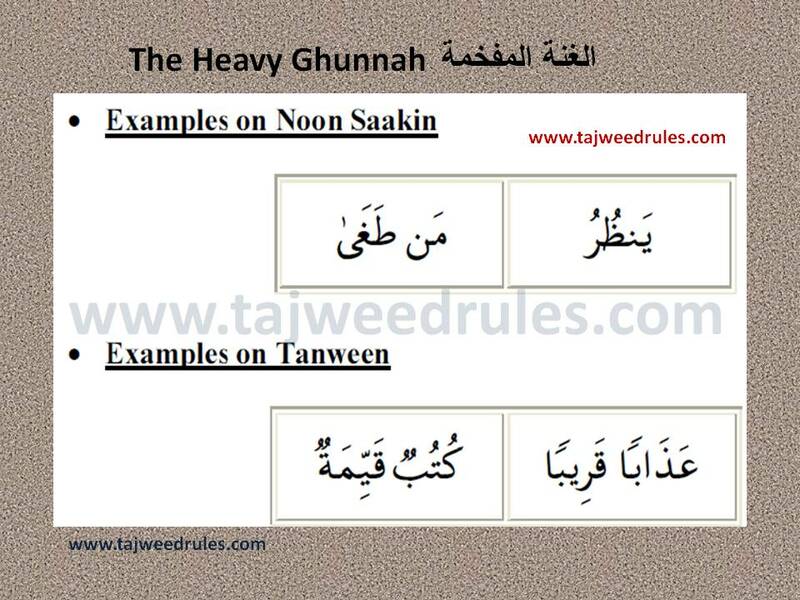 Jazakumullahu khairan Wa ahsana ilaikum!